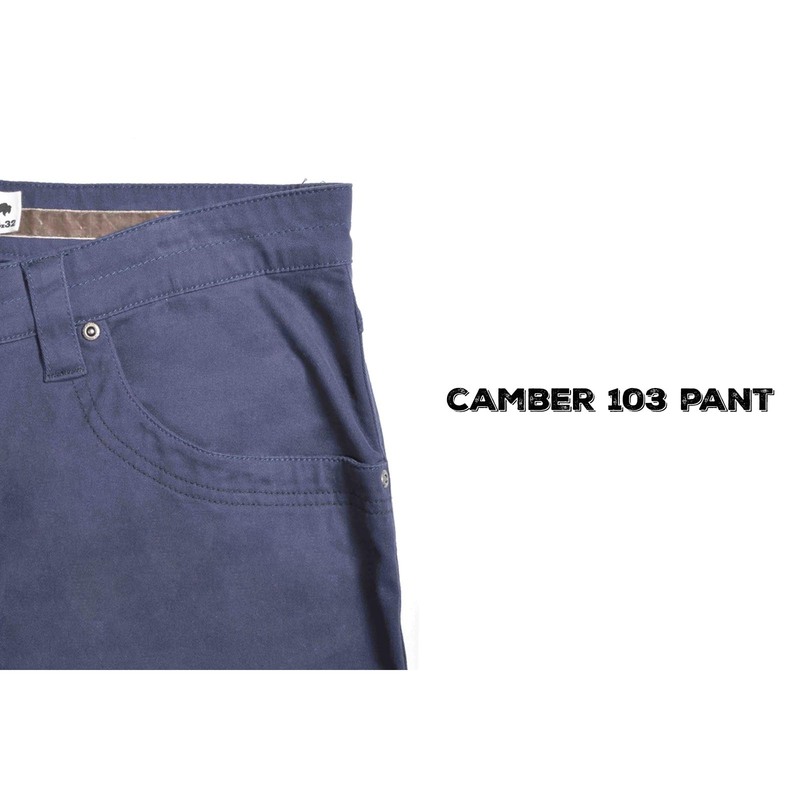 A streamlined version of our Camber 105 pant. Triple-stitched seams, "mudflap" reinforced heel cuffs, reinforced pocket bags, and angled back pocket ideal for gloves. I love MK and I have several pair myself in the classic fit. However, when I ordered the 103 (classic fit) it did not really fit like the rest of the classic fits. These pants were more like a relaxed fit, being very loose in the lower leg. They need to be more tapered like the rest of the classic fits. LOVE THEM!!! Would LOVE more styles in this classic fit. These pants are great! Sturdy and durable yet soft and very comfortable at the same time. Just like the camber 105's but without the side pocket, articulated knees, etc. This makes them much more suitable for a little dressier look when needed. Now if MK would only PLEASE PLEASE PLEASE add more styles in their classic fit line I'd have even more in my closet. For example if the commuter pant were available in classic fit for outdoor activities in warmer weather and the Jackson chino for when I need standard khakis, I'd literally never need to buy another brand of pants! PLEASE PLEASE PLEASE consider making those in classic fit!! Did I mention Please? My beau loves these pants! Whether on the farm, or on a date- these pants get down to business. The 103 offers a great classic fit, and the spandex blend promotes a good range of comfort! Good clean-looking, and still rugged pant.